Kylie’s style is characterized by flawless makeup and hair (she has her own beauty line, after all), and an equal preference for the highest heels and the coolest sneakers. 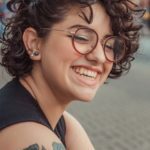 A while back, we listed our favorite celebrity fashion icons, and over the next few months, we’ll be breaking down each celebrity’s style in depth and showing you how to get her style for yourself. Today, we’re showing you how to get Kylie Jenner’s style. Kylie Jenner is the youngest of the Kardashian empire, but her style is in many ways a reflection of her older sisters. Anything body-skimming and big-ticket can be found in Kylie’s closet. 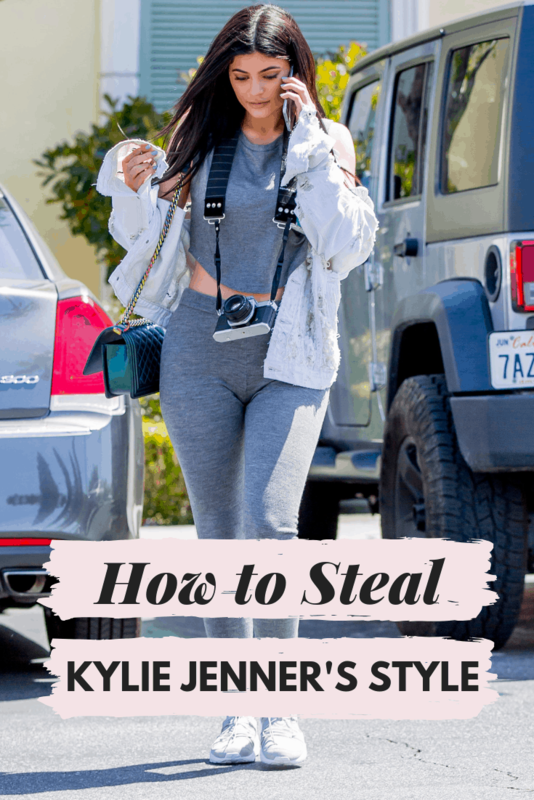 Keep reading to learn more about her, as well as some tips and tricks for dressing like Kylie. Kylie Jenner is the youngest child of Kris and Caitlyn Jenner. Kylie was born on August 10th, 1997 into a family that’s made a major statement in the fashion (and just overall) world. Kylie caught the eyes of millions of fans from a very young age, being filmed for the hit reality television show following the day-to-day life of her family, Keeping Up with the Kardashians. Since her humble beginnings of just being featured in the background of her family’s show every now and again, she has grown into her own personality, and has captured solo fame. Kylie launched her own makeup brand, Kylie Cosmetics, which earned her an impressive income. Kylie has millions of followers on all forms of social media, from Snapchat to Instagram to Twitter. From risque posts to posts of what she just so happens to be eating at 10:53am (cereal and milk is revolutionary, I guess), Kylie gets a lot of attention in all aspects of her life. With so much attention also comes hate. You either love and worship Kylie and her sisters, or you hate every part of them. It’s hard for people to find a middle ground when it comes to this family. But, something that we can all agree on, whether you love them or hate them, is that Kylie’s style is trendy and catchy. Kylie Jenner managed to pull something off for over 9 months, something that is especially challenging for a celebrity of her status who has every move followed and documented. Kylie managed to keep her entire pregnancy secret, even while maintaining her top status. Some predicted she was pregnant, but it was never officially confirmed until after her daughter Stormi was born and Kylie released a YouTube video to welcome the baby. 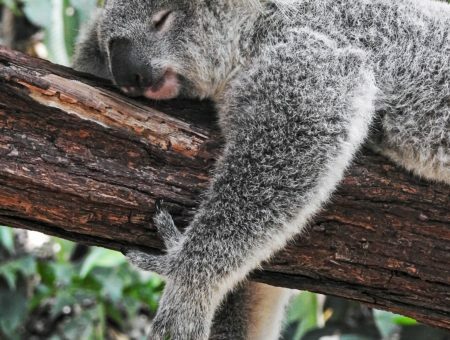 Kylie felt that she wanted to have a more natural pregnancy, and did so by keeping herself out of the spotlight. When seen in public, she would be wearing baggy clothing. Kylie and her partner Travis Scott thought it would be best to have the pregnancy in the way she did, and it paid off! Now, whatever opinion you have on the antics of the Kardashian clan, let’s focus specifically on Kylie’s style to continue the series. Kylie is known for her stylish jumpsuits and matching sets. 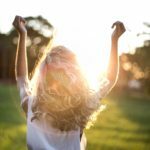 The outfits I’ve chosen focus on single color palettes and a cross between stylish and sporty, and always body-fitting, of course! Kylie goes for an outing wearing a matching sporty set, in a beautiful and delicate baby pink/cotton candy hue. With a thick strapped bra and high-waisted and elastic bands all around, Kylie looks comfortable. The highlight of the look for me is the adorable purse, or maybe that flawless makeup– I can’t choose! 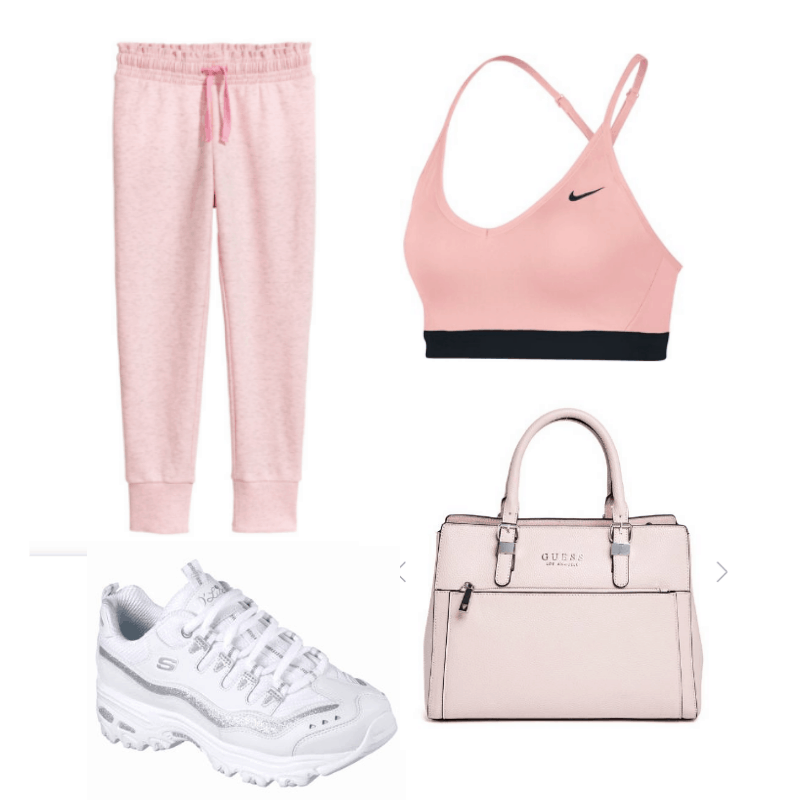 Get the look with a combination (any color would work) of matching sweats and a comfy bra, clean white socks, chunky white sneakers, and my favorite part, a cute little bag to tie together the look! Kylie looks flawless in this ensemble, with perfectly styled and sleek hair, makeup… and check out that manicure! This look just flaunts Kylie’s figure. However impractical this “sporty” look is, who doesn’t want that neon and textured jacket/shorts set? 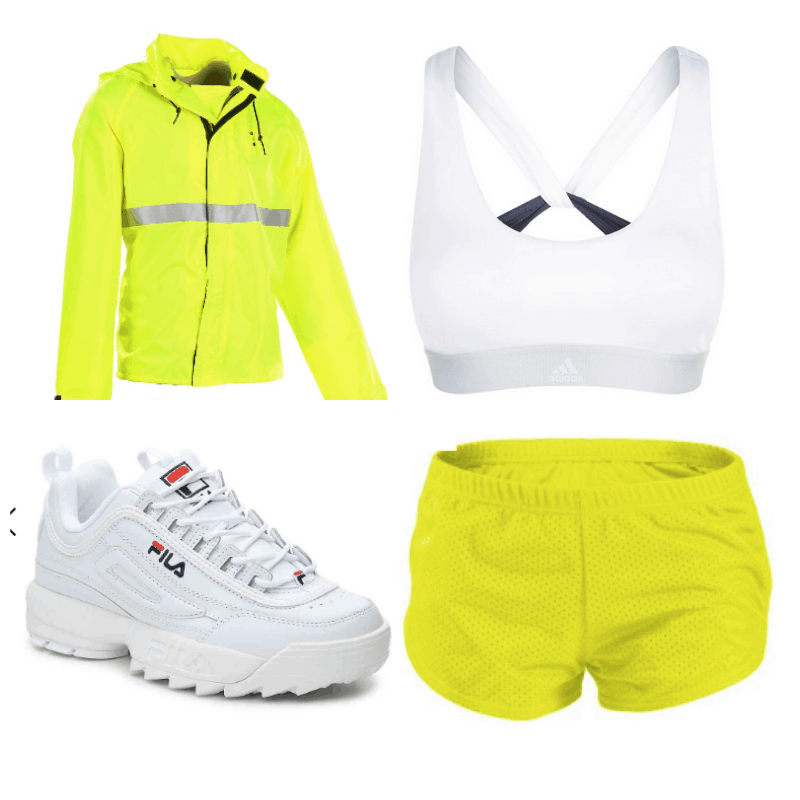 Steal this look with the basics: neon running shorts, a white sports bra, and a matching bright jacket. Even though her legs and feet aren’t featured, if I had to guess on what shoes would really make this outfit pop, thick white sneakers would get the job done. Orange is a fierce color, and the neon tint of this dress, shoe, and purse combo just brings out her inner fire. Kylie’s blonde sleek hair and pouty lip tie the look together. You can really play around with this look, trying different mini dresses and heel combos, big purses versus tiny handbags, smoky makeup or natural glow. 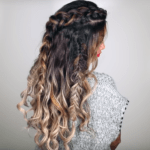 It’s really that simple, with only three main components to this look! However, in the set above, we stuck with the neon orange vibe, pairing a strapless and shaping dress with fierce orange boots and a zippered and textured handbag. Even though Kylie wasn’t actually trying to fly under the camera’s radar in this look (if that thought has ever crossed her mind), it’s still easy to pretend that she’s trying to fit into the crowd with this simple and once again monochromatic look. There isn’t anything fancy about this look, which is why we chose it – because when has Kylie ever worn anything not flashy or basic?! Only in this outfit, I’m guessing. 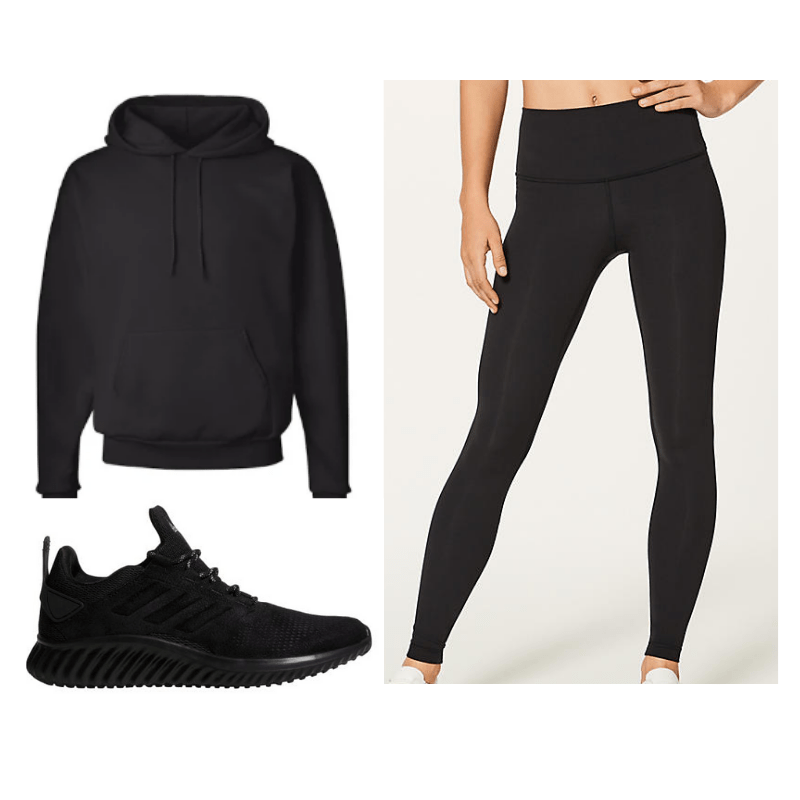 Your favorite black leggings, black sneakers, and a comfy dark hoodie will create simple, yet super-Kylie look. Are you a Kylie fan or hater? What do you think of her fashion choices? Comment your opinion, or favorite style of Kylie Jenner’s and let us know what you think!